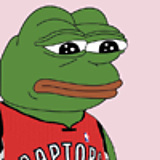 For those who never venture outside the main Raptors forum category, we are starting a new fantasy league. Right now, we're taking in members, once we fill the league, we'll discuss settings etc. Are we still playing in the TRF ONE AND ONLY league? I like the format of keepers. I was looking forward to seeing the development of teams and horse trading amongst the teams. I would have preferred the keeper league. Not so sure if I'm going to stay in the new auction/roto league with the 16 team format. Set post draft players to free agents with a 48hr post draft opening for acquisitions. looks like we're stuck on 12 players, we should probably start discussing the format. The original plan was for roto + live auction, are we still ok with that? So far, only philosoraptor would prefer h2h. Let's decide on this before the rest of the rules and then the draft date/time.